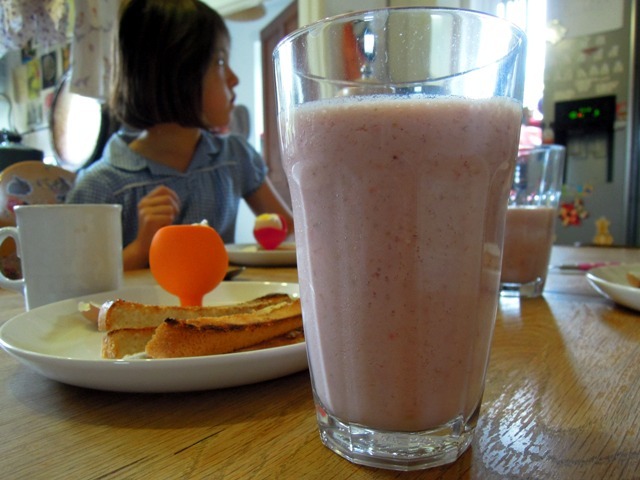 We slurp our way through a fair few smoothies in our house. They’re the perfect way to use up ripe bananas, especially when it’s way too hot to consider baking banana bread, and they are a brilliantly healthy start to the day. Although saying that, quite often our smoothies are rather indulgent, especially when my husband makes them with lots of vanilla ice cream. 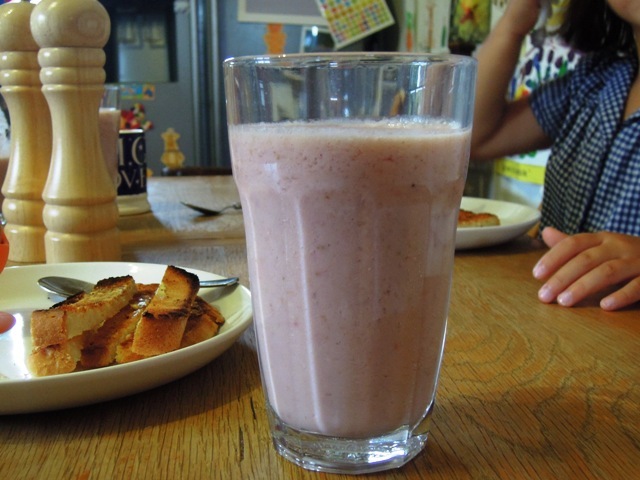 This strawberry and honey super smoothie is of the healthy variety. It features a couple of spoonfuls of rolled oats, making it extra thick and creamy and perfect for a fuel-filled breakfast. And of course they’re ridiculously easy to make, which is essential first thing in the morning. 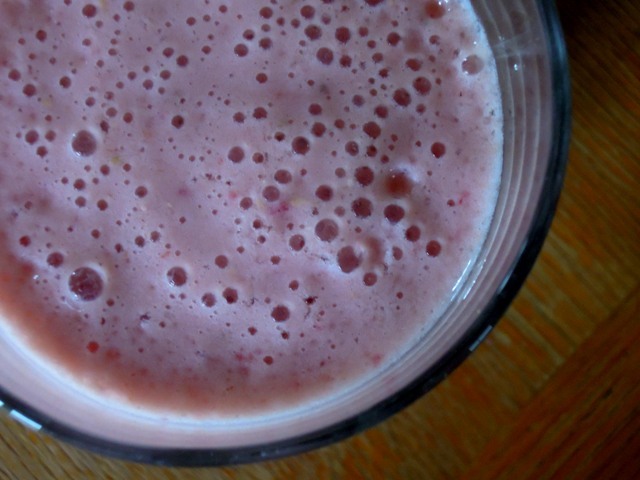 Simply pop all the ingredients into your food blender and whizz until smooth and frothy. That’s it. Serve alongside your bowl of cereal or dippy eggs and soldiers for a top brekkie. Because these super smoothies are so easy to rustle up and contain this month’s trio of ingredients (honey, oats and berries), I’m entering them into the Recipes for Life challenge, which I also happen to be hosting. July is the penultimate month for Recipes for Life. Each month we challenge food bloggers to create tasty, healthy and easy-to-make dishes using three key ingredients. I’m running the challenge on behalf of a brilliant charity called SWALLOW, which supports adults with learning difficulties. Their cookery club will have a go at making the recipes themselves and the best ones will be included in a new cookbook later in the year. Perhaps you’d like to get involved in the challenge? Find out more here. I bet that was so good. It just sounds good. I was just wondering what to do with the over ripe bananas in the fruit bowl – they were destined to become Sunday breakfast for the hens, but I might just find some other treat for the chickens and make smoothies instead… they look delicious! Thanks Sarah – they really are rather scrummy! Love the inclusion of oats. Sounds like an interesting charity. Oats really make it a proper breakfast. And yes, SWALLOW is just brilliant!